“China’s undergoing a phase of switching gears,” says Peiran Wei, a China and Globalization Fellow at the Kennedy School’s Ash Center for Democratic Governance and Innovation. The unbridled growth of China’s economy over the last few decades has been nothing short of extraordinary. More than half a billion people have been lifted out of poverty. A middle class larger than the entire population of the United States has emerged. And, of course, some have been able to amass great fortunes from the unprecedented boom. CNN reported that in the first quarter of 2015, a new Chinese billionaire was minted every week. But alas, nothing is forever — certainly not in economics — and what once seemed like an unstoppable force has recently shown signs of slowing down. 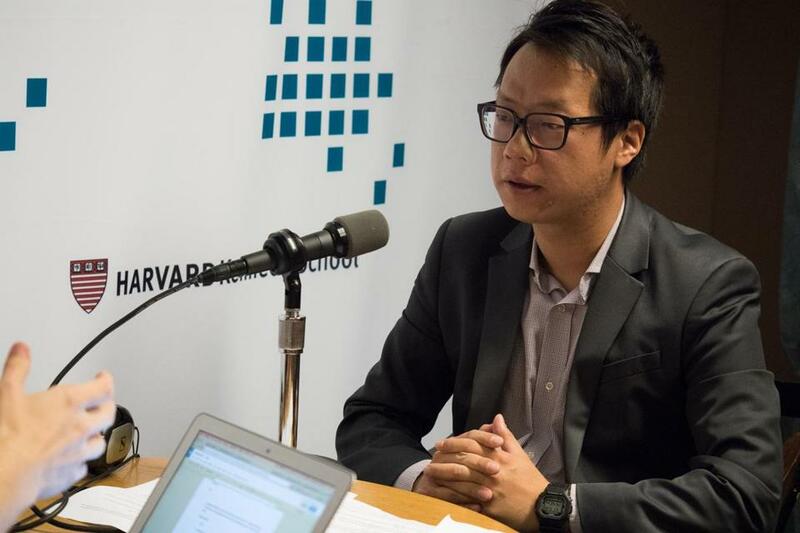 Wei, who formerly covered Asia’s billionaires as a reporter for Bloomberg, discusses China’s economy on this week’s Harvard Kennedy School PolicyCast. He goes into particular detail about the emergence of a new class of ultra-wealthy Chinese business people who owe much of their success to the unprecedented growth of the last 20 years. Wei says that while the growing number of billionaires has been met with skepticism by some, by and large it has been an inspiration for the next generation. With so much newly created wealth in private hands, Chinese authorities have struggled to ensure that the money is reinvested domestically. Even before the slowdown, unofficial estimates showed that the outflow of capital from China was on the rise. If you’re curious where all that capital investment is going, look out the window. Wei explained that in China, “the first thing people with a lot of money in their bank account think about is to buy a property.” These days, a lot of that property is here in Boston and Cambridge — as well as in other major metropolitan areas like New York and London. In order to stop the outflow of capital, the Chinese government has long restricted the amount of yuan an individual can exchange for foreign currency in a given year, but there are several loopholes around it. Now the government is faced with some difficult decisions. On the one hand they’d like to keep that money within China’s borders, but they’ve also been eager for years to make the yuan fully convertible, which would make it as easy to buy and sell as the dollar or the euro. This is uncharted territory for the ruling Communist Party. Ever since Deng Xiaoping began introducing market reforms in 1978, the government has relied on steady economic growth to ensure social stability. This is all ample reason for concern, but Wei doesn’t see the situation as particularly dire.